BPMN 2.0 and the Service Interaction Patterns: Can We Support Them All? The Business Process Model and Notation (BPMN) specification version 2.0 represents the amalgamation of best practices within the business modeling community to define the notation and semantics of collaboration diagrams, process diagrams and choreography diagrams. Capturing and managing collaborative processes became a hot topic in the past years, and different choreography modeling languages have emerged. 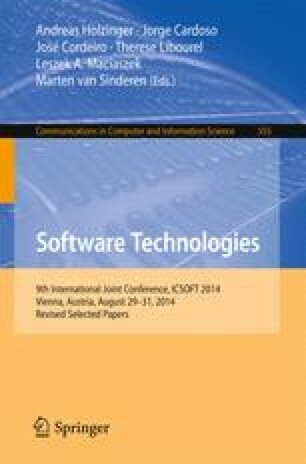 The advancement of such languages let to the definition of the service interaction patterns, a framework for the benchmarking of choreography languages against abstracted forms of representative scenarios. In this paper, we present an assessment of BPMN 2.0 support for service interaction patterns. We evidence the issues that limit the set of supported patterns, and propose enhancements to overcome them. The authors thank the reviewers for the very useful comments that have contributed to enhance the paper.